You will earn 60 Points for buying this product. How to Use ? The Argolis Triple Reader is the successor of the most popular Smargo SmartReader Plus. The functionality of both readers is the same, however the Argolis Triple Reader provides 3 smartcard slots instead of 1. Argolis Triple Reader can be cascaded with more SmartReaders (>100) in 1 system using a USB Hub. The compact and functional shaped design, with an injection-moulded casing in matte grey and orange ABS, will look good in any environment. The case ensures that you have a high quality product from Argolis with the latest innovative hardware and software features. The Argolis Triple Reader is an USB cardreade/programmer based on a powerful ARM processor. The Argolis Triple Reader incorporates an integrated USB to Serial converter, which enables the SmartReader plus to work with all standard Phoenix compatible Linux and Windows applications. The SmartReaders supports besides Linux/Windows computers and DVB Settop Boxes various Linux and Windows applications for PCI-DVB or USB-DVB. Is this reader capable of reading Verimatrix CA cards? If you have correct software, there will be no problem. I purchsed 3 Pcs of Argolis Smargo Triple Reader but I am facing a problem on all that when I add all cards then after some time it gives a error in OSCAM. "card ejected then card inserted"
when I restart PC and agair start OSCAM then after few minutes or hours again the same problem. card ejected and card inserted and started card. it runs a loop of card eject and card found. If I use 3 different oscam and use 3 port on on 3 oscam then no problem. Do you have found this problem ? or do you have any solution to it ? Thanks for your feedback at first. We recommend you email to sales@argolis.com for help. If the device proves to be faulty. We will arrange the replacement. Thanks for your feedback at first. We will forward this to our support side to check. 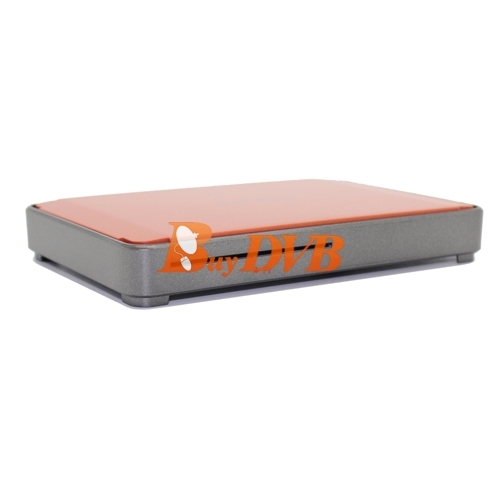 And you can also eamil to info@buydvb.net. If the product proves to be faulty, we'll arrange the replacement. In my country, the service providers have paired the pay 2 air subscription cards with their set top boxes. So, please confirm me. Can I able to use any card (paired/unpaired) in this Smart Card Reader? Can I unpair the paired card using smart card reader?